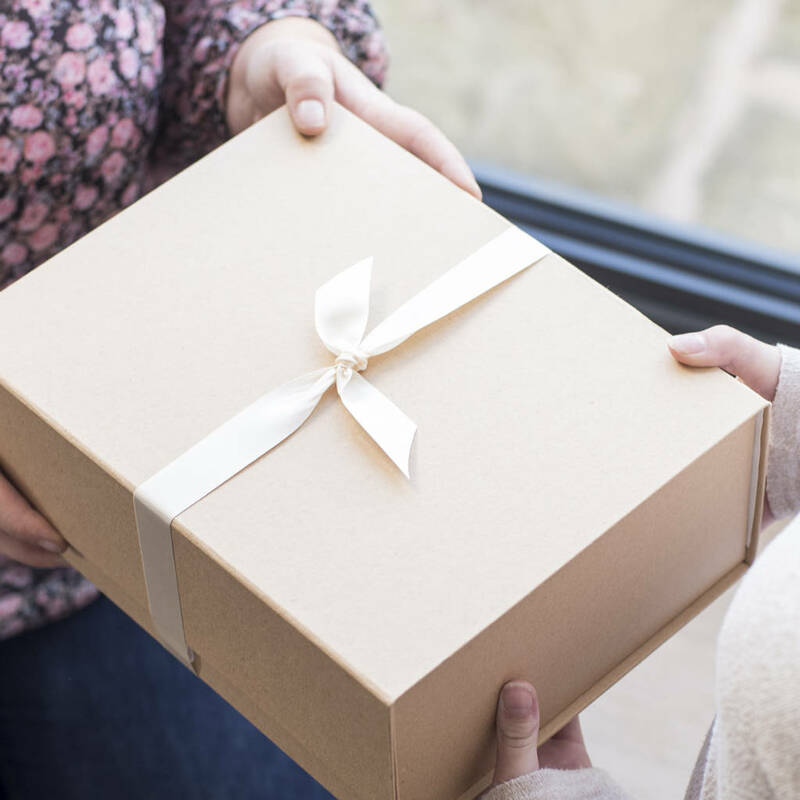 A special Christening gift or Baptism present. 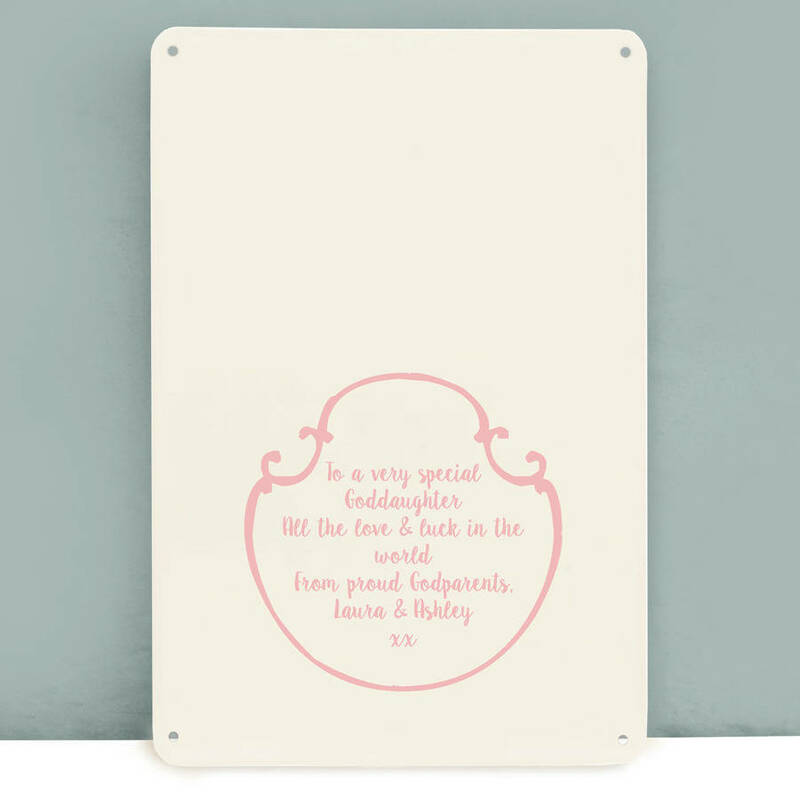 Each print is personalised with the details of the Christening or Baptism and personalised messages. 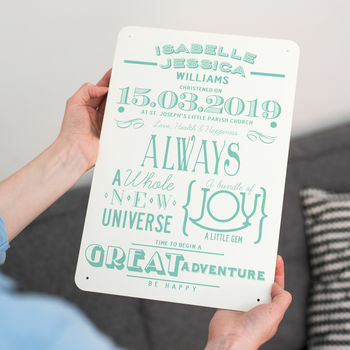 The typographic design is printed onto smooth, off-white, powder coated metal. The board has a hole in each corner which allows it to be displayed in a number of different ways. It can be displayed as a piece of art on a bookshelf, hung with a piece of ribbon or drilled to a wall. 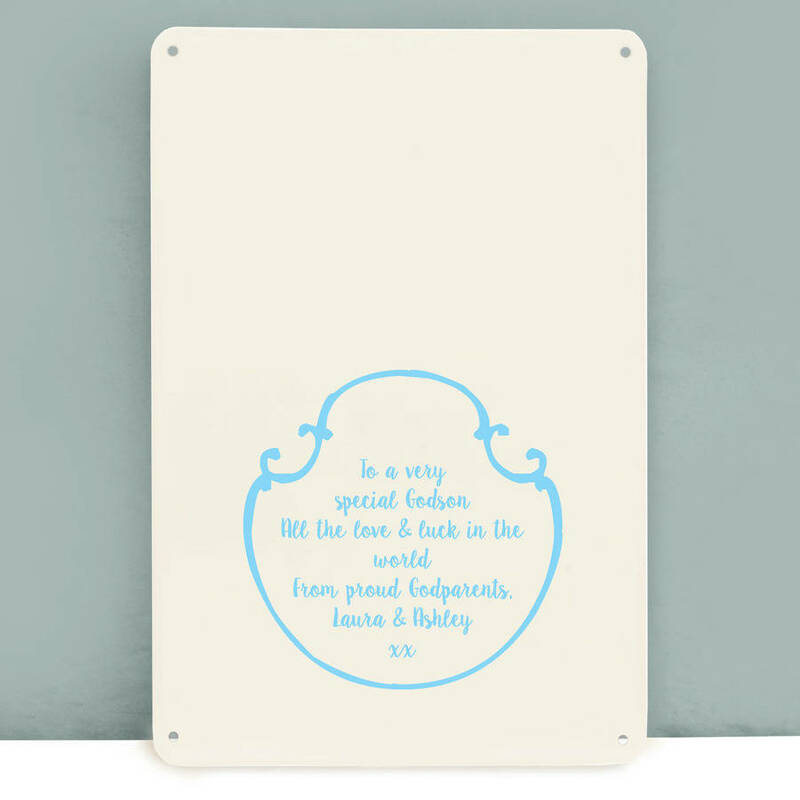 This is an ideal present for a christening or baptism and has a design that is versatile enough to look fantastic against a range of interior styles. 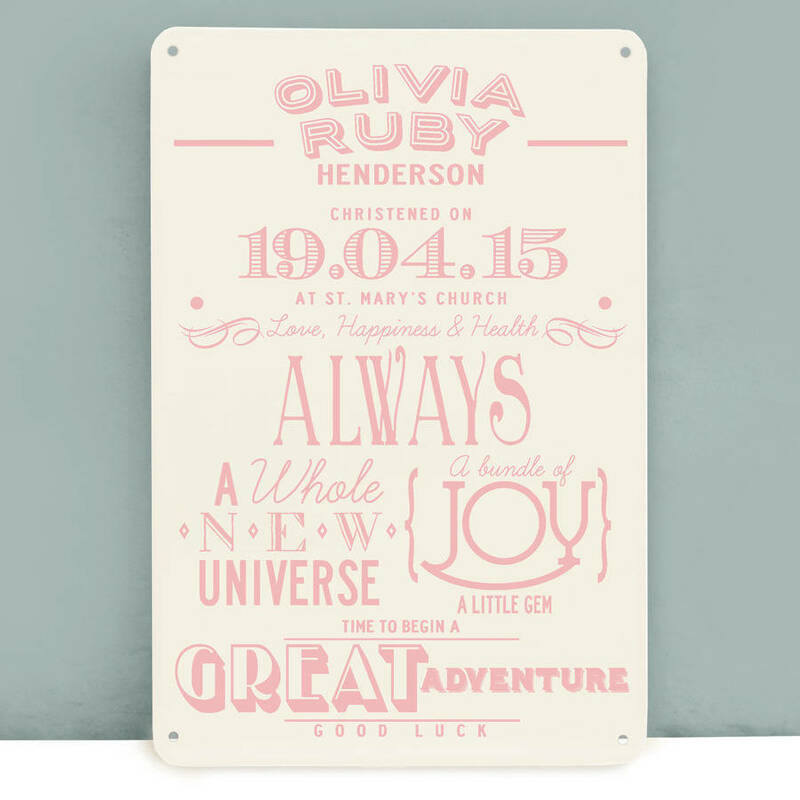 The design can be printed in a range of 16 different coulours. 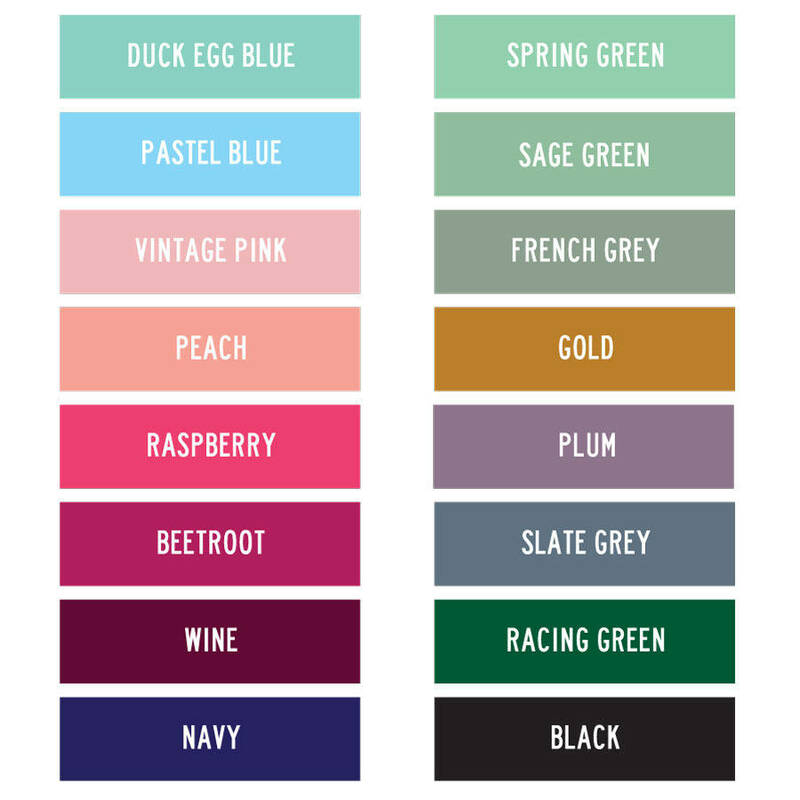 Choose from; duck egg blue, vintage pink, sage green, peach, pastel blue, spring green, indigo, plum, beetroot, gold, raspberry, slate grey, racing green, navy, wine or black. Take a look and the colour swatch image to choose or look at our full range to see other products printed in these colours. On the reverse of the board, you can enter your own personal message and sign off. Made from powder coated metal and printed in our Derbyshire studio.